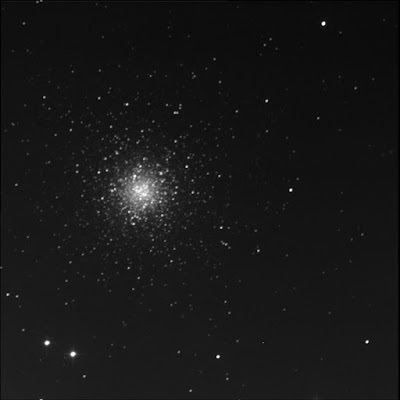 The Burke-Gaffney Observatory imaged Messier 53, a rather nice globular cluster in Coma Berenices. Another M target I had viewed only once. Wide double star HD 114864 aka S 648 is south-east of the glob. Two equally bright stars. B, to the east-north-east, is very slightly dimmer than A.